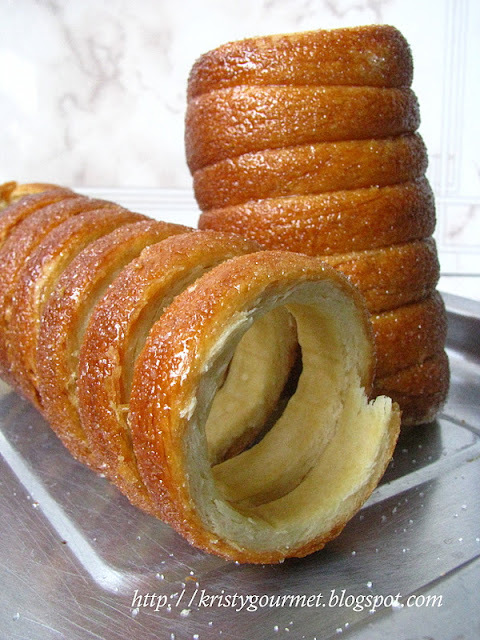 And here is the pastry when it is cut after cooled. You can clearly differentiate layer by layer easily. 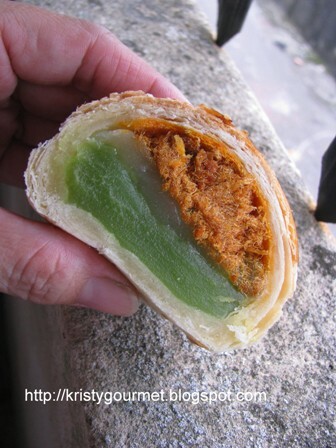 The bottom layer is the pandan flavour mung bean paste, the middle layer is the mochi dough and the top layer is the meat floss. I am thrilled ! I did it again successfully. 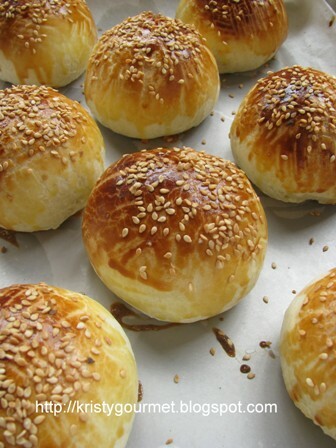 Hopefully, I can produce as many kinds of mooncake as possible this year. 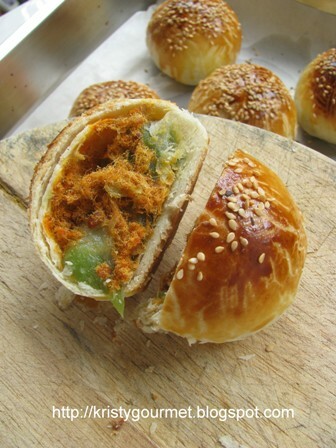 And all my guests can enjoy all kinds of mooncake throughout the weeks before the mid-autumn festival arrived. 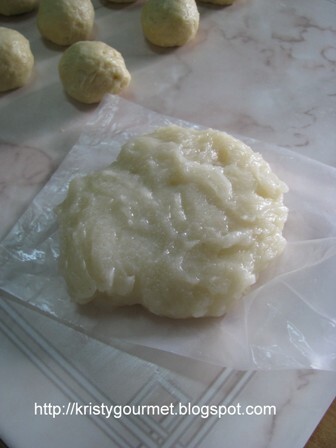 This is simple steamed mochi dough that I made. Please refer the recipe here. 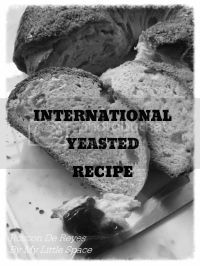 (1) in one bowl, combine ingredients (A) except water, rub butter & the dry ingredients till well cooperated. Then add in water to form a non-stick soft.dough. Knead to smooth then set aside. (2) in another bowl, combine ingredients (B) till everything well cooperated then divide into 14 portions. (3) at the same time, divide dough (A) into 14 portions as well, then wrap ingredient (B) into (A) and sealed to form a ball. And leave aside to rest for 20 minutes. (5) now, press both end of the pastry dough into center then flatten it by rolling it into round shape. 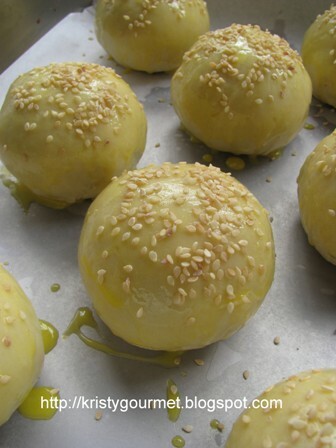 (7) transfer filled dough to baking tray line with parchment paper，brush on egg glazing and sprinkle on some sesame seeds. (8) then bake at preheated oven 190'-195'C for about 20 minutes or till nicely brown. Nice & brown. Don't you love them ! Enjoy & have fun throughout the festive season. Wow..this looks delicious!! love it. First of all, thanks so much for stopping by my humble little space. I am glad you like the mooncakes. Now to your question. 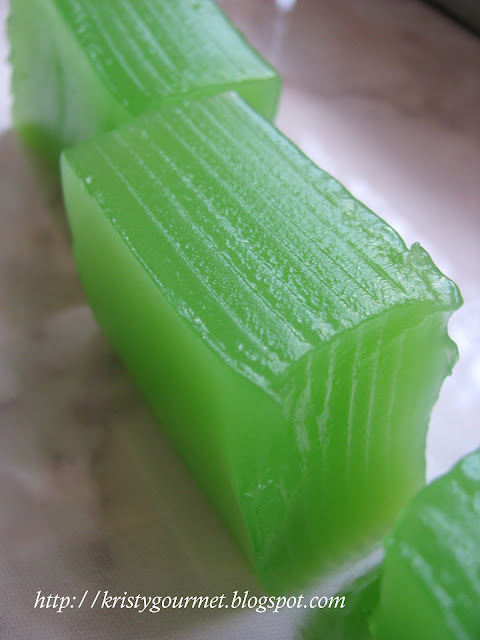 (1) pandan mung bean recipe. Please follow the link as given below. 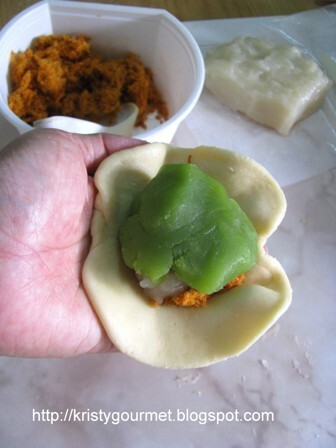 Note : simply add in store bought pandan paste or by using fresh pandan extract to mix with mung bean puree before cooking it. 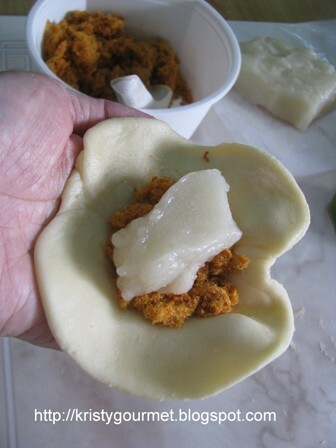 (2) the only recipe not included in my mochi snow skin mooncake is my red bean paste. 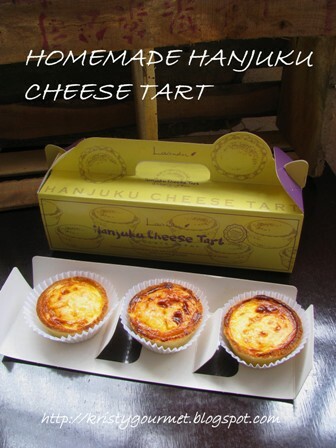 You may follow recipe as below. Chloe, hope this will help. Enjoy & have fun ! Btw, its best to prepare the paste one day before. So that, it will properly set. No, you can't keep the mochi dough refrigerated overnight before wrapping. 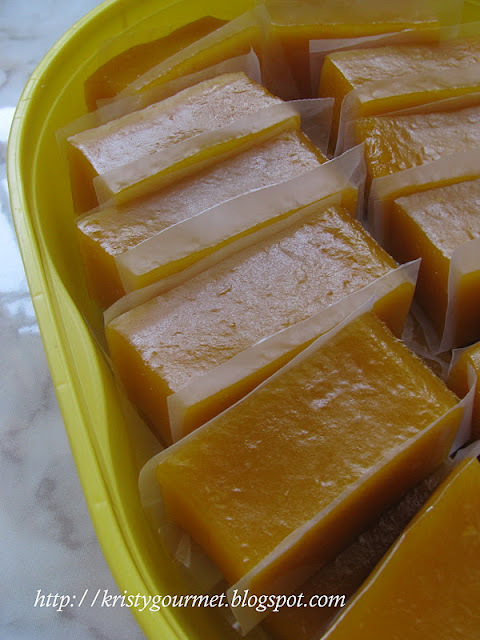 The mochi is not appropriate to keep chilled for more than 2 days even if it is done. It will turned hard like stone even if you leave it to room temperature after chilled for more than 2 days. But will still be able to keep for 2 days out of the fridge though. So, you must plan well for this recipe. 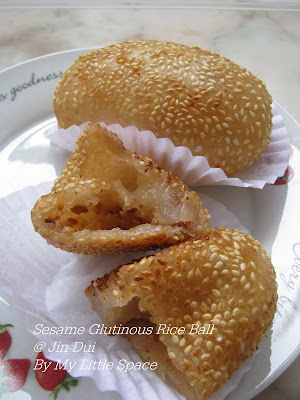 Hi Kristy, I already followed your recipe but why my skin not crispy and not to flaky but indeed feel like eating bun? First of all, thanks so much for stopping by. 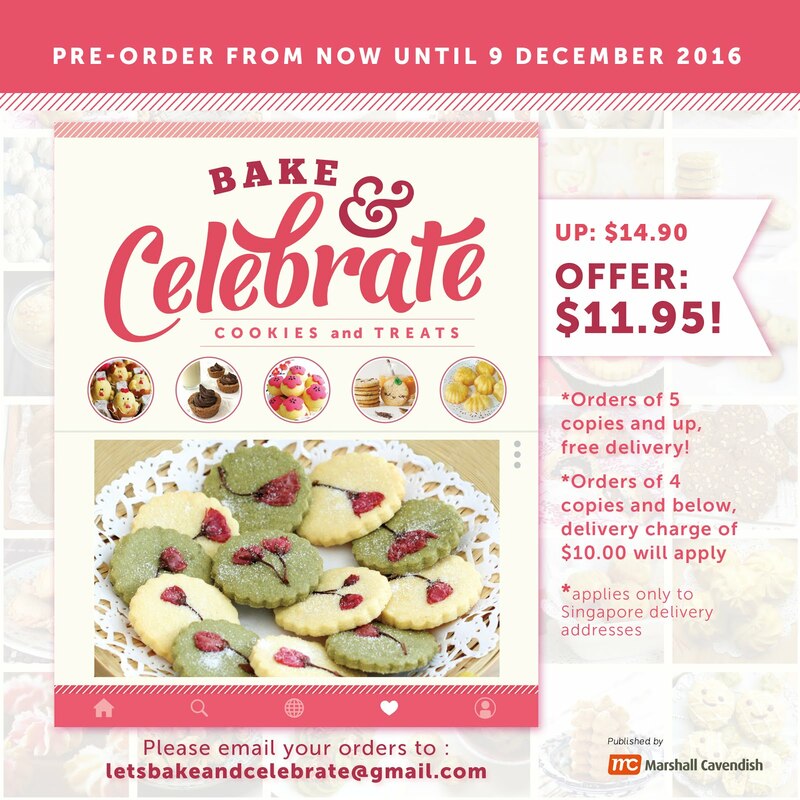 Try to prolong your baking time cause different oven giving different temperature. Check the crust if its hard enough before removing out from the oven, otherwise add a few more minutes. Hope this will help.